STONEFIRE Grill in Thousand Oaks, CA has made ordering takeout simple AND quick! All you have to do is input your location and you are matched to the closest Southern California STONEFIRE Grill. Once you have access to the menu, you simply add your desired menu items to your cart and place your order with the click of a button. STONEFIRE Grill’s online ordering system is extremely accommodating. Don’t care for tomatoes? No problem! Simply modify your order exactly how you prefer. Whether you are looking for family meals, lunch or dinner, STONEFIRE Grill’s online ordering system is the most convenient and simple way to order. Plus, when you arrive to the restaurant, you’ll be greeted by big smiles by extremely friendly individuals. Choose from our Lunch Specials, salads, sandwiches, pastas, pizzas, grill items, sides, desserts, kid’s meals or our Family Meals. Pair our delicious sandwiches, such as our Roasted Cauliflower Pita or French Dip with a side, such as our Garlic Mashed Potatoes or Nutty Coleslaw. View our entire menu here. Looking for something more? STONEFIRE’s Favorite Pizza has it all! With fresh pesto, avocado, onion, mozzarella, feta and basil, this pizza pairs perfectly with any meal! How about a Whole BBQ Chicken the whole family will love? 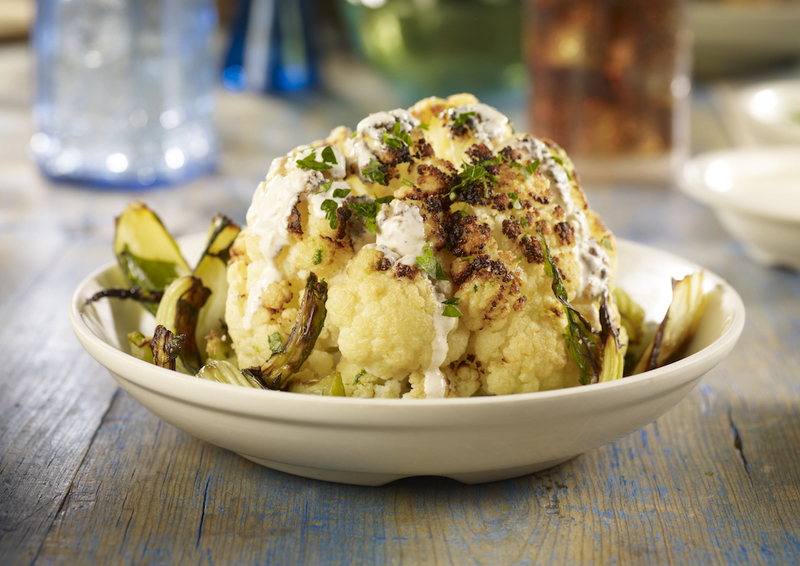 Whatever you are looking for, STONEFIRE Grill has it all. When you’re ready to pick up, simply looking for the ONLINE PICKUP sign inside each location and one of our friendly team members will be happy to go over your completed order with you. Looking to place an online catering order? Click here to request a quote and one of our friendly catering specialists will be happy to help you out!